Visit the birthplace of the multi-awarded winning and first health claim olive oil in the world.The Dafnis Family, producers of “The Governor”, welcomes and introduces you to an unforgettable olive oil experience. An experience which travels you back in time, learn about Dafnis olive history. Learn all about truths and myths of olive oil from Olive Expert, taste one of the highest phenolic olive oils in the world. Tour starts with a personally guided walk through the over centuries olive groves in the Medieval Castle of Gardiki area. Admire the untouched olive area and meet the resident olive expert in the groves. Hear the story of the oldest olive variety in the world and experience being an islander yourself. 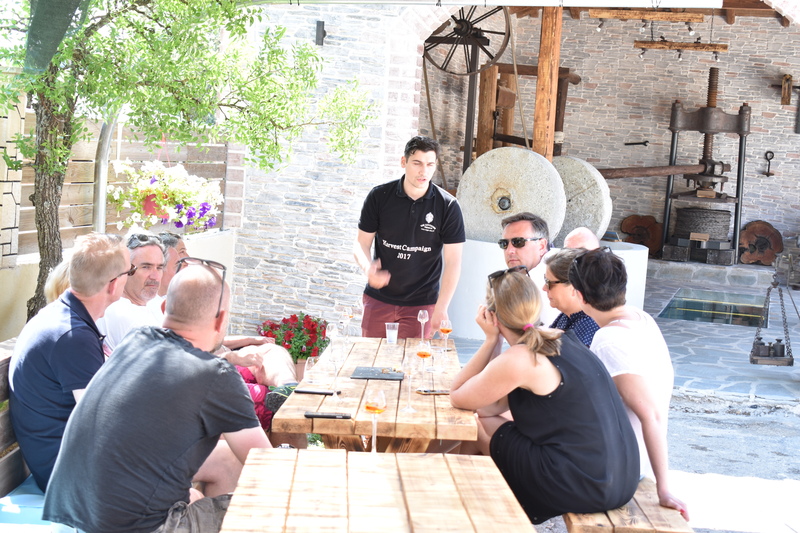 When you arrive at the mill, enjoy the “taste like a pro” program and learn how olive oil produced. 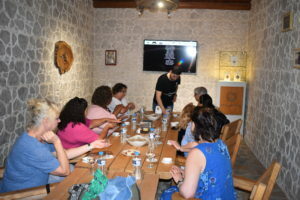 Following by delicious Greek olive delicacies during the visit of the olive mill.In this private tour, you will learn how to taste and recognize high quality olive oil just as the professionals do in our workshop. It is an unique lesson which you can share with friends and family. Find out about the therapeutic and health protecting qualities of olive oil and learn how to distinguish between top quality and non extra virgin olive oil. During the program, enjoy some delicacies such as olive oil paired up with bread, tomatoes, feta cheese and a handmade cracker with a glass of local wine. Finally you will receive a certificate of participation.